You have never played a football game like this before. Compete against friends in face-to-face free multiplayer kicks, or make a name for yourself in Career Mode! Challenge the world in different online game modes! Hit targets to get points, in the fast-paced combat of Shooting Run mode, or play as a scorer and goalkeeper in the one-on-one mode of Free Kicks! Customize your scorer and goaltender with tons of unlockable items! Display your style or wear the colors of your team! + Shoots and makes spectacular stops, with one finger movement! 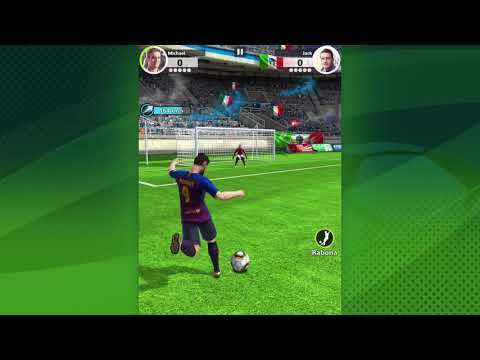 + Play online shooting and free kick modes! + Play against friends or challenge players from around the world! + Represent your favorite team! Choose from FC Barcelona, ​​Borussia Dortmund, FC Zenit, FC Schalke 04 and more!